It’s Sue‘s turn for a day off this week, leaving June and Tina to share the driving seat on the show. 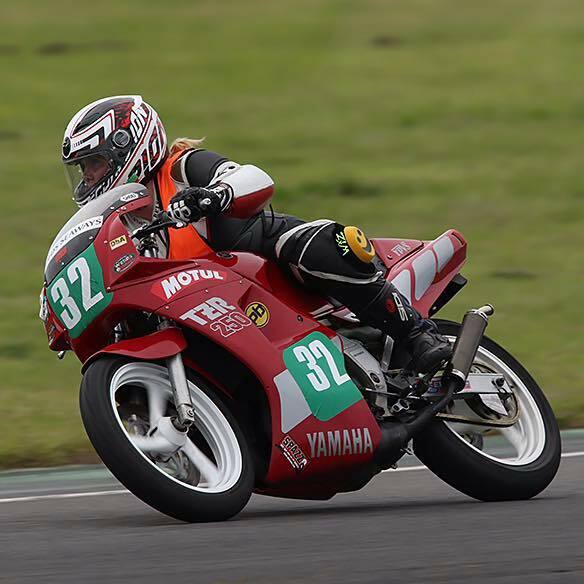 Unusual for a woman, that is – at the risk of giving in to stereotyping, just how many other females share her passion not only for restoring old motorcyles but for racing round the track too? Then again, maybe more than you might think – but that’s one of the questions Sarah will be answering on the Girls Around Town this Saturday. Tune in or listen online from 10am till 1pm to find out why and how she got started, what happens on track days and what it was like working as a member of the pit crew at the Isle of Man TT. Not to mention how she got on when she had a go at motogymkhana, described by the editor of Performance Bikes as ‘the most insane, non-lethal motorcycle sport‘!